For a format predicated upon a limited time frame and concentrated drama, the contrastingly expansive distance between people is an interestingly recurrent theme at this year’s Seattle Shorts Film Festival. In A Short Trip, Eri Yokoyama’s ‘coffee shop time travel movie’, a thirtysomething ex-couple meet up in a café to platonically reconvene and recall the more carefree experiences of their youthful romance. The short’s twisty denouement is hinted at in the film’s elegant opening shot, which sees Jenn (Molly Ryman), the female lead, fussing with her make up whilst stood against the coffee shop’s exterior wall. A street art montage of people is illustrated on the brickwork behind her; she moves away, but the two-dimensional images painted on the background wall stay frozen. Following on, in the coffee shop, the rules of time and space seem to hold little sway, as we and the couple slowly realise that the café - with its customers listening to CD Walkmans, and an eerily familiar young pair across the way - is exactly how they left it decades ago. Could it be that the 1990s never really went away, or is something more metaphysical afoot? A Short Trip is a bittersweet examination of a relationship, a film which encourages us to consider who we were in juxtaposition to the people we have become: who we are now, following the intervention of time. Distance grows not only with the years, but, as we mutually develop, between other people too. Before entering the shop, Jenn is evidently concerned with her appearance, but seems uninterested in the Jake of today, and we come to realise that it is her youth which she hopes to recapture. The film’s conclusion is therefore a somewhat cryptic wish fulfilment which reveals a nostalgic yearning to contradict that most American of aphorisms: you can’t go home again. 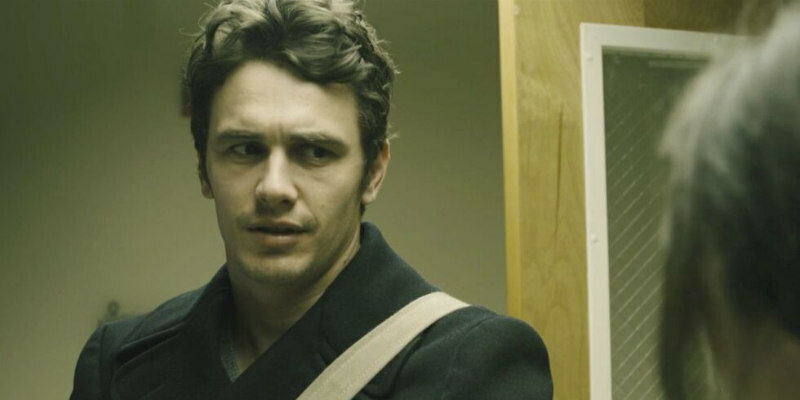 In the Cormac McCarthy-esque A Walk in the Winter, James Franco plays Conrad, a character who also returns ‘home’ following a self-imposed exile. Called back to the place where he grew up, Conrad has to identify what could be the human remains of his mother who went missing many years previous. However, whilst in the evocative midst of his hometown, Conrad finds that he must also confront the repressed and painful memories of his childhood too. Ryan Moody’s film immediately beguiles with its gorgeous widescreen vistas of snowy mountains and slide guitar ringing across the soundtrack. This is an unforgiving landscape, whose isolation encourages cruel secrets. Franco is fantastic, and I love him doing this sort of thing; smaller, more personal projects alongside the box office excesses of, say, an Oz. What the script doesn’t show, but which is implicit in the intensity of Franco’s performance, is the years of loneliness and uncertainty that has marked this character. The whimsical cadences of Franco’s voice, and his increasingly hangdog looks, create a palpable poignancy. After Conrad examines the remains of his parent - in a heart-breaking one shot of piled Tupperware labelled ignominiously with stickers stating ‘teeth’, ‘fingers’ and so on - he eventually travels to the site where the body was recovered. This is a location which holds significant meaning for Conrad, and here the film builds to a restrained but emotive catharsis. In its own way, A Walk in the Winter is a time travel movie too, wherein the central character must face the juncture of the past before the future can be properly comprehended. A beautifully realised film. In Damon Duncan and Hugh Calveley’s impressive sci-fi Cradle, we see a similarly estranged mother child relationship. 14-year-old Eade ekes out an existence on what looks to be a space ship, alone save for a pet robot and the comatose figure of her father, who has been knocked out by the explosion which has also fatally damaged the spacecraft. Can young Eade unlock the spacecraft’s system in order to offer medical assistance to her dad and also steer the craft home? Hacking into the ship’s CPU, however, unlocks Eade’s unknown past, and hints at the fate of her absent mother. Like Conrad in A Walk in the Winter, Eade must go back before she can go forward. The look and feel of Cradle will thrill science fiction connoisseurs, with Nostromo style grime creating the feel of a lived in space cabin, along with slow camera dollies onto control units with twinkling lights and old-school vector monitor screens. However, Cradle affects most with its thoughtful human drama. This is a science fiction film in the existential vein of a Solaris or Dark Star, where mapping out inner space is the real journey into the unknown. Recommended. The 2016 Seattle Shorts Film Festival runs from November 11th - 13th. More info at seattleshort.org.